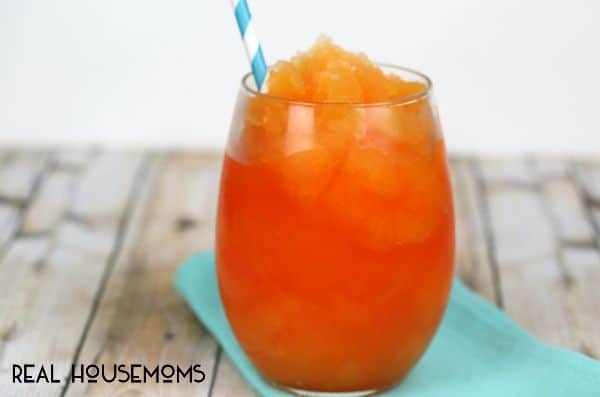 Sunshine Slush Cocktail is a light and refreshing grown up version of your kid’s favorite drink! I have a love affair with all things orange flavored. If there is an orange flavored dessert, I’m all over it. Orange candies….they’re mine! And, orange cocktails…they are my faaaaavorite! This summer, we installed a pool. It’s been on our long-term goal list for a while and this was the year. Once we stocked up on all of the paraphernalia like rafts, googles and pool noodles it was time to start finding cocktail recipes that my husband and I could enjoy poolside. 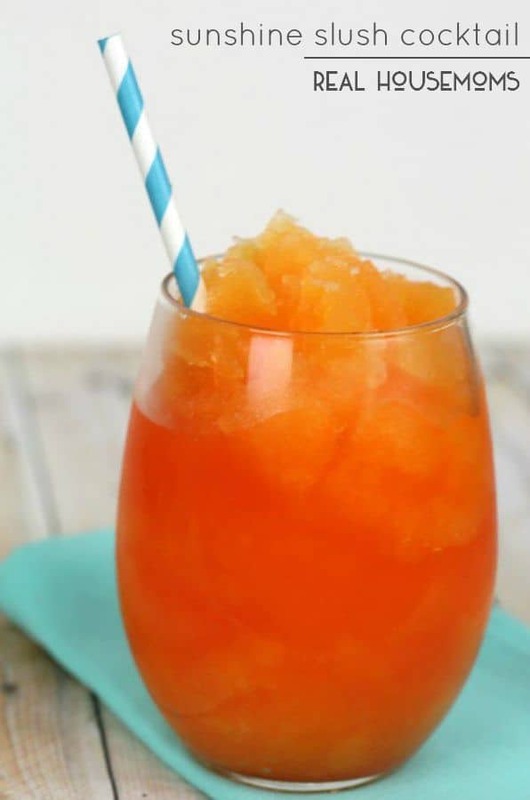 This Sunshine Slush cocktail is something I created for us to enjoy while floating away the hot summer days. It was light, tart and refreshing. 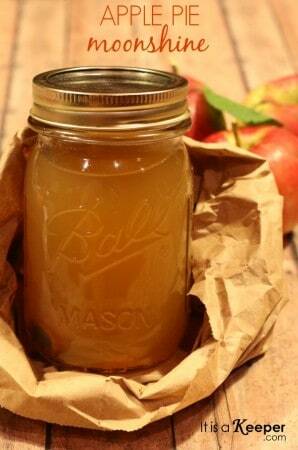 Plus, it is so easy to make a big pitcher! I love how versatile this recipe is too. 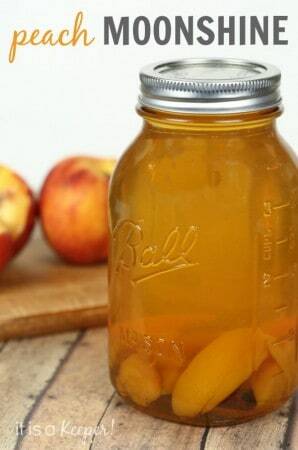 You can easily change up the flavors to suit your tastes. If orange isn’t your favorite, swap out the flavors for strawberry or a tropical mix. I see many lazy, summer days with me on a raft and one of these cocktails in my hand! Place all of the ingredients in a blender and blend until slushy.